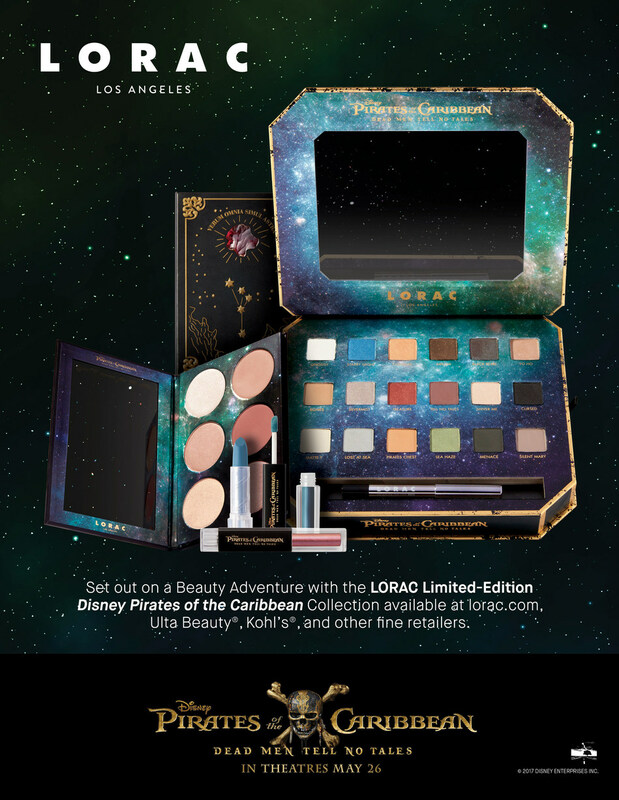 The Color Source Cheek Palette resembles new heroine Carina Smyth’s diary in the film, which contains clues to discover the mystical trident of Poseidon. LORAC’s version holds six brand-new shades of Color Source Buildable Blush and Light Source Illuminating Highlighters to achieve an ethereal, luminous glow. The MOD Crème Dual Ended Lip Colors feature brand new lip formulas for LORAC – a creamy, moderate coverage lipstick on one end and a non-tacky, moderate shine gloss on the other end that can be worn alone or combined. “Pirates of the Caribbean: Dead Men Tell No Tales” also stars Kevin R. McNally as JoshameeGibbs, Golshifteh Farahani as the sea-witch Shansa, David Wenham as Scarfield, Stephen Graham as Scrum, Orlando Bloom as Will Turner, and Geoffrey Rush as Captain Hector Barbossa. LORAC Los Angeles was born more than two decades ago as the leading Hollywood beauty brand for celebrities and their makeup artists. Today we continue to honor our Red Carpet heritage by bringing you the latest Los Angeles beauty looks straight from our SoCal headquarters. Our deepest purpose as a professional artist prestige cosmetics company is to inspire self-confidence by making you feel like a star. Our team works as a family to design and bring to life color cosmetics, artistic inspiration and educational techniques inspired by Hollywood glamor and fresh L.A. style. We promise to always help you look and feel beautiful without breaking the bank.